Maui is ready to save the day! Disney Traditions statue spotlights Maui! "Your welcome!" Bring home the demigod Maui with this colorful piece inspired by the hit Disney movie Moana. 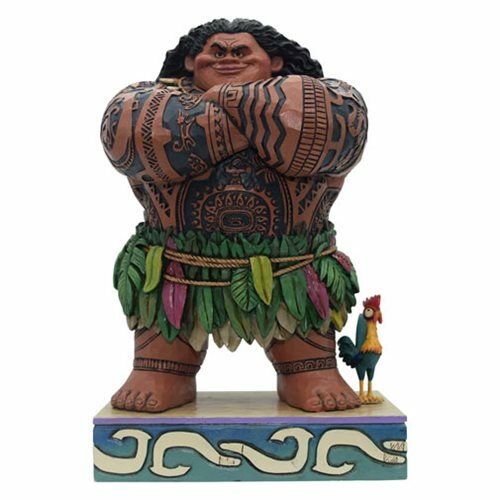 The amazing Disney Traditions Moana Maui Daring Demigod Statue by Jim Shore is made of stone resin. Measures about 8 1/10-inches tall x 5-inches long x 4 1/10-inches wide. Ages 15 and up.